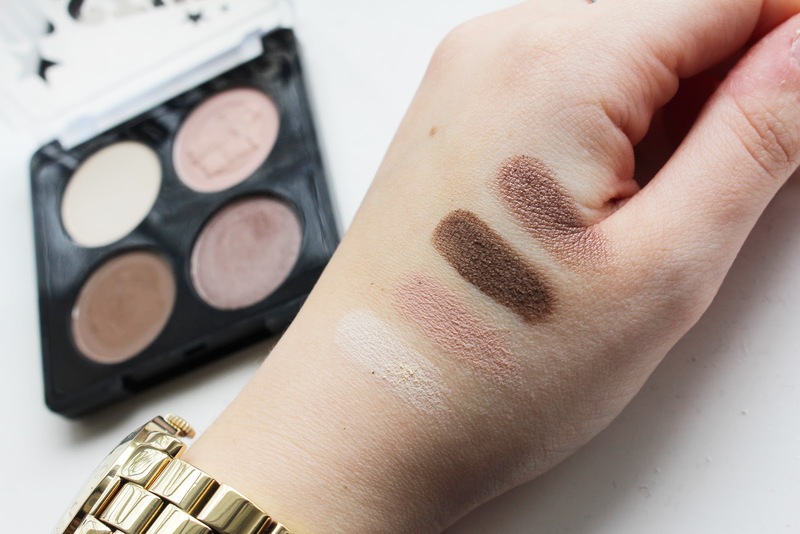 Don't you just love it when you love a drugstore eyeshadow palette that is super affordable!? I know I do. 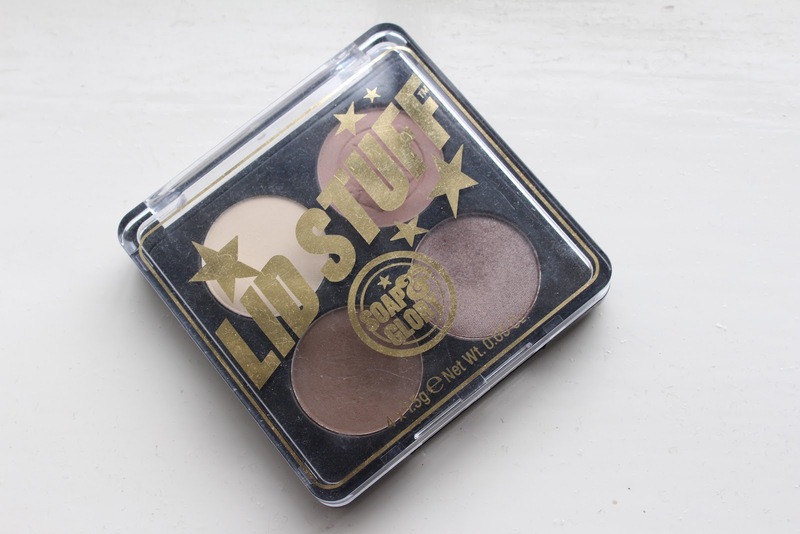 Today I will be talking about the Soap & Glory .... eyeshadow palette and, FYI, I absolutely love it. Firstly, it's small enough to take away with you that it won't get in the way. Secondly, all of the shades are pretty versatile and pigmented. As you can see, there is a lovely creamy/white shade, a pink toned brown, medium brown and a taupe-y shimmery brown. I feel like all of these shades match perfectly together and they all have pretty decent colour pay-off. Although, I would say that the last shimmery shade isn't all that pigmented or shimmery so I would definitely suggest spritzing your eyeshadow brush with a little bit of fix+ by MAC just so the colour is more noticeable. Or you could maybe even apply this shade using your finger as an eyeshadow brush doesn't pick up half as much pigment as my finger did (as you can see by the swatch below). Vanilla (creamy/white matte) - Perfect for an all over lid shade or to highlight the brow bone. Mudhoney (brown matte) - Again, great as a transition shade over the top of Pink T to deepen it. This would also work well for deepening up the outer third of the eye. Aubersheen (taupe-y/brown shimmer) - A lovely shade for a subtle smokey look if applied all over the lid. I really love this palette and I especially love the price - £10! For a drugstore brand, this palette is pretty impressive and I love that they haven't included one of those horrible cheap sponge eyeshadow applicators because they really are a waste of time. 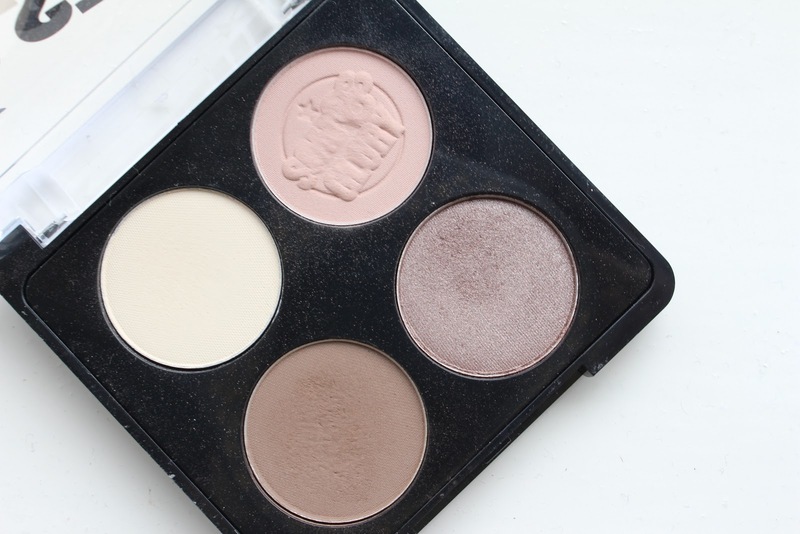 I also love the simplicity of the packaging and I definitely think this would be a great palette for someone who is just starting to play around with eyeshadows as they're pigmented, but not over pigmented and they're also very blendable. I like the look of those colours, shame it's not on the website, I'll have to have a look at the display next time I'm in a Boots! This looks like such a gorgeous little palette and even better that its so affordable - I feel I'd get use out of every shade, think I might pick this up! Such great pigmentation and a lovely set of shadows! It's a shame they no longer sell this! !